Shirley Wells' "Into the Shadows"
Shirley Wells lives in Lancashire, UK. She has published numerous novels, including Into the Shadows and A Darker Side from the Jill Kennedy and DCI Max Trentham series. What a terrific blog! Let’s face it, all authors dream of having their books made into movies and it’s fascinating to see all those dreams in print. When thinking of casting stars for my own movie, I’m reminded of when Jimmy McGovern, without doubt the most important script writer in the UK, started writing the Cracker series. It’s common knowledge that McGovern pictured Fitz as a thin, wiry man. The original choice for the role of Fitz was Robert Lindsay but, when he turned it down, they considered Robbie Coltrane, better known at that time for his comedy work. Thin and wiry Coltrane isn’t. In fact, he’s the size of a small country. Yet Coltrane made that role his own. Who can imagine anyone else playing Fitz? As I’m currently working on the fourth book in the series, the two main characters, forensic psychologist Jill Kennedy and DCI Max Trentham have been with me for quite a while. So I know everything about them. Oh, yes, they have a past, too. Whether they have a future is anyone’s guess, but there’s a lot of chemistry between them. So who could transport them to the big screen? Jill Kennedy was brought up on a tough estate in Liverpool. She’s attractive, she’s clever, she loves her cats and she enjoys a flutter on the horses. I’m torn here, but I think I’d choose Kate Ashfield, perhaps best known for her lead role in Shaun of the Dead, to play Jill. 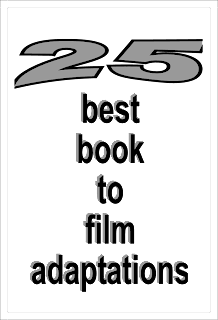 It would give her chance to pick up yet another Best Actress award. My second choice would have to be Keira Knightley. DCI Trentham has 2 sons and 3 dogs, enough to drive anyone to drink, and holds old-fashioned views on policing that make it difficult for him to do things by the book. Clive Owen would be perfect for the role, especially as, oddly enough, he looks a little like Max Trentham. Should the unlikely happen and Owen turn down this chance of a lifetime, John Simm of The Lakes and Life on Mars would do a superb job. That, of course, is only the crime-fighting duo. In Into the Shadows, the first book in my series, one character looked exactly like a young Robert Redford. But hey, I’m flexible. Robert Redford can have any role he likes. As can Hugh Jackman, Sean Bean and Pierce Brosnan. To direct this masterpiece, I’d demand Jonathan Demme. That man can do it all, from The Silence of the Lambs through Philadelphia to Neil Young: Heart of Gold. Everything he touches is just - perfect. All I do now is sit back and wait for the call, right? Meanwhile, I suppose I’d better get back to the keyboard. Visit Shirley Wells' website and blog. JD Seamus is the author of a series of novels based in Manhattan including the whodunit, Last Call. "Part mystery, part comedy, and part action-adventure, the novel chronicles in sparkling style the lives of a diverse group who frequent Jimmie Collins’ bar, fall in and out of love, and come together to help their good friend." A good friend gave me a tip that I’ve continued to use throughout my writing. The tip was, as you suggest, to pick a star to use in character building. It was actually fun. My wife would hear me laughing loudly and come into my office to see what the hell was going on. I’d try to explain that it’s how De Niro interacts with Nathan, a small town guy (Randy Quaid-did I mention the guy was a lovable dufus) relocating to New York? She’d just stare and I’d explain it’s how he deals with a big mouth, short Italian (Danny DeVito—just too easy) bar regular who has the worst tailor in the world? Or how he would interact with two Manhattan North cops with career paths heading south (anyone from the old Barney Miller show)? Or a long time bar patron who is witty, tough and has a problem picking men (Annette O’Toole). De Niro lines her up with Nathan after telling Nathan to not hurt her in any way or he’s coming after him. Looking up at my wife to see if she gets it, I often get a sage nod, a pat on the head and a smile. She then walks out and closes the door quietly behind her. I guess unless you’ve banged out a book you can’t possibly comprehend. 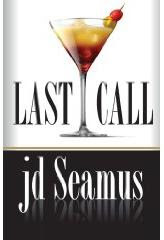 Learn more about Last Call and its author at JD Seamus' website.